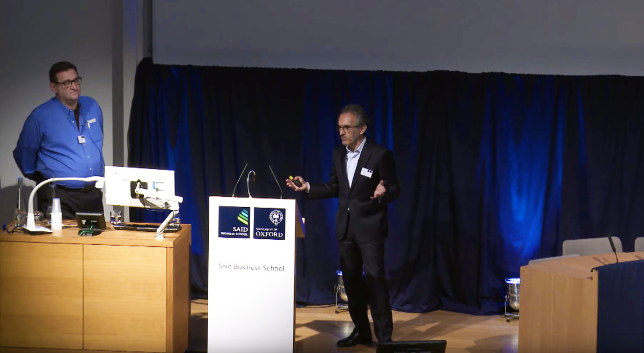 On May 13 and 14, 2016, global leaders converged at Saïd Business School, University of Oxford to discuss how some of the world’s largest and most significant firms are striving to implement responsible business practices and what factors makes for their success and failure in this endeavor. Broken up into three main panels, the Forum focused on actionable examples from companies including Unilever, Mahindra, Danone and Mars. 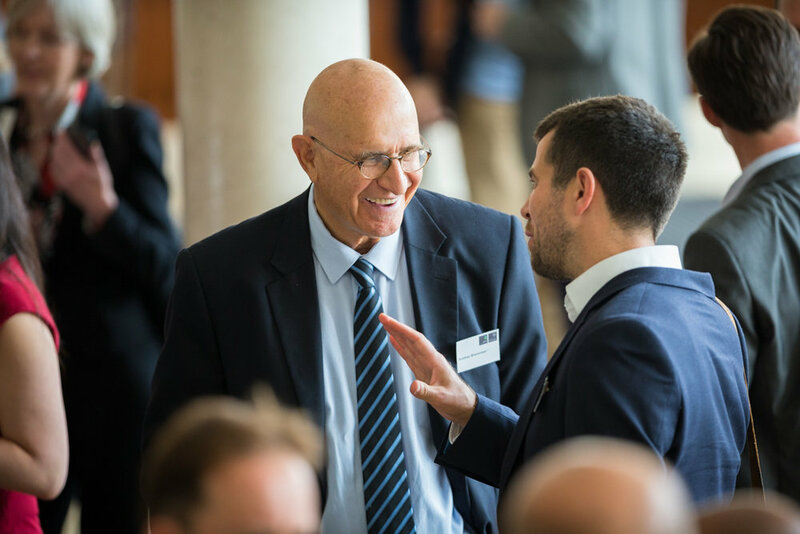 Part of going beyond business as usual requires business leaders, like those that gathered at Saïd Business School in May, to share their best practices and learning. A number of important themes emerged over the two days of presentation and dialogue, such as the significance of an ecosystem approach, the importance of organizational structure, and the challenge of impact measurement and management. These themes and others are expanded below. Responsible business is not a 'choice', it's a strategic response to changing consumer demands. Companies are increasingly thinking beyond the boundaries of what happens in their supply chain and inside the walls of their organization, to the entirety of the ecosystem. In order for a business to achieve impact, it is necessary for it to engage with a variety of stakeholders, and carefully consider ecosystem level approaches to decision-making. In practice, this requires not only identifying pain points, but following up by working with a multitude of different actors in order to tackle them – including governments, other companies, academics, and NGOs. By “internalizing the externality,” companies are incentivized to consider factors beyond their own operations, including how their proprietary activities might influence the ecosystem at large. The Indian automotive company, Mahindra, for example, argued that disruptive growth only comes from addressing unmet or emerging stakeholder needs in the wider ecosystem. It operates many different business units under a common umbrella, and chooses to measure its impact against overall ecosystem level growth, rather than by focusing on human and social capital individually. Similarly, the global confectionery company, Mars, adopts an ecosystem approach to its work with cocoa farmers, manufacturers, and micro-distributors all over the world. It recognises that the challenge of creating a responsible business lies beyond the boundary of the company. As Jean-Christophe Flatin, president of Mars states, “responsible business means bringing [their] eyes beyond the boundaries of the legal entities of the company, and building ecosystems with different partners.” Part of the development of the company’s ecosystem view has been the researching of metrics and management practices under an emerging theory called the Economics of Mutuality. The testing of the Economics of Mutuality theory across numerous business pilots around the global is showing huge potential to empower businesses and their managers to engage with multiple forms of capital at the ecosystem level. Over the years there has been much critique of Corporate Social Responsibility – ‘green washing’ – type initiatives where impact is extraneous to the business model and practices. Increasingly, the trend is toward embedding responsible business thinking at the core of the business’ operations. 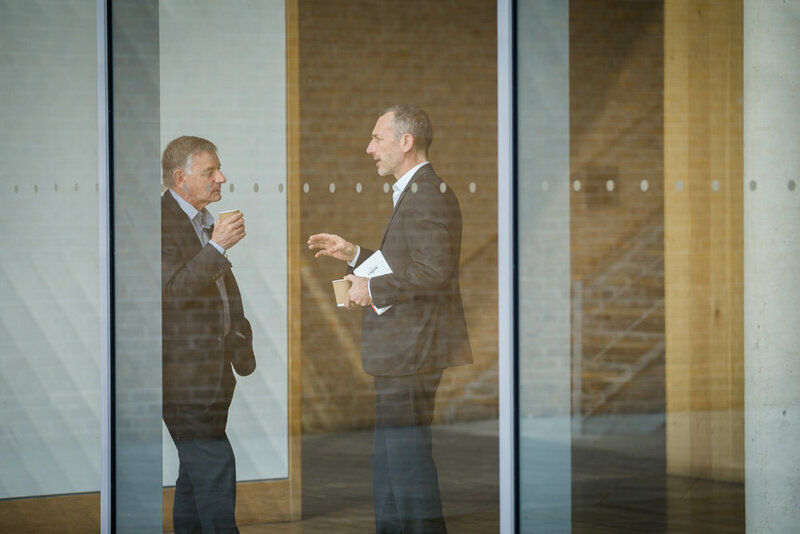 This creates both a strong sense of purpose within the organisation, which is often manifested in company-wide mission statements, and also enables impact to scale in conjunction with business growth. This is of course much easier said than done, but as attendees heard during the Forum, progress is being made toward this integration. Arabesque, for example, harnesses its core competencies of asset investing to deploy a comprehensive ESG framework across investment opportunities to direct capital towards positive social and environmental outcomes. The more capital they have under management, the greater the positive impact the business is able to exert through its asset allocation strategy. In contrast to Arabesque’s approach of using its core business to drive positive outcomes, Danone harnesses a foundation structure adjacent to its core business as a vehicle through which to deliver social and environmental impacts. Danone’s Ecosystem Fund  adopts an interesting approach where it uses a co-sponsorship model that seeks additional funding and management commitments from local business units to ‘top up’ the funding provided through the Fund. This deliberate procedural design means that there must be a business goal aligned with a clear social purpose in the creation of social business programmes. The Ecosystem Fund is an endowment fund of €100 million with the purpose of strengthening Danone’s wider ecosystem of partners and suppliers to the end that business, people, and plant benefit. For companies operating in the broader ‘impact’ space such as social entrepreneurship or impact investing, if impact is not embedded into the business model, measuring it remains a fundamental challenge. Similar to understanding their financial health, companies strive to measure impact for the purpose of comparability, benchmarking, and to share milestones for internal and external reporting. 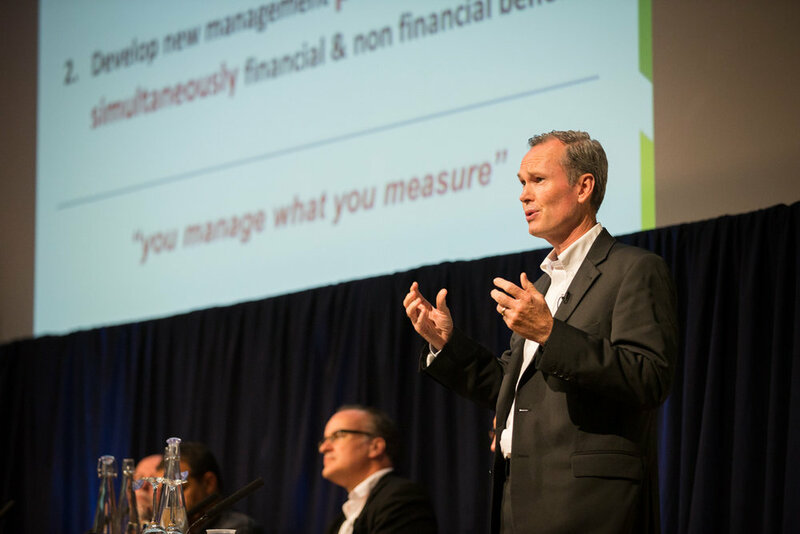 However, companies are not always clear on what they are aiming to achieve in terms of impact, which makes identifying the appropriate performance metrics and then understanding how to measure this impact all the more challenging. Danone chooses to measure how its social projects contribute to its underlying business goals by considering three types of impact: 1) tangible returns (in the form of financial capital), 2) indirect impact on external actors, consumers, employees, suppliers, distributors, and 3) transformational impact (effects that can be seen in 10+ years). For a consumer goods company like Unilever, it measures the impact of its products against the Unilever Sustainable Living Plan: a three-pronged strategy aimed at improving health and well-being, reducing environmental impact, and enhancing livelihoods. The ability to achieve outcomes at scale is often seen as a critical measure of success. However, organisations face many challenges when it comes to balancing scalability and financial sustainability. The challenges vary across different business models and geographical contexts. Danone’s Warung Anak Sehat (WAS) project, for example, struggled to achieve financial sustainability as it maintained its clear focus on nutrition education and selling nutritious snacks in a context where affordability and tradition clashed with healthy eating. Al-Sanabel’s efforts to scale to 10,000 meals a day were blocked by regulatory barriers. The PMJDY project faced difficulties in achieving scale due to the illiteracy of its target beneficiaries and a lack of electricity in rural areas and challenges in combatting corruption  . In order to achieve sustainable scale, companies at the very least need to identify the right market opportunities aligned to their core business capabilities with a clear mandate to deliver social benefits. The PMJDY project, is the initiative of a private bank to empower the rural unbanked population in India through the establishment of microbranches, portable ATMs and fee-free bank accounts with overdraft facilities. The case studies presented at the forum demonstrate that responsible businesses harness a wide variety of organisational forms in order to achieve their purpose: the PMJDY project is an initiative of HDFC Bank, a private bank; Miele is a family owned company and Al-Sanabel Catering operates as a public-benefit company. Responsible business practices, rather than being constrained by organizational structure as what may be first thought, instead flourish across a number of structural alternatives.